The United Kingdom European Union membership referendum, also known as the EU referendum and the Brexit referendum, took place on 23 June 2016 in the United Kingdom (UK) and Gibraltar to ask the electorate if the country should remain a member of, or leave the European Union (EU), under the provisions of the European Union Referendum Act 2015 and also the Political Parties, Elections and Referendums Act 2000. The referendum resulted in 51.9% of votes being in favour of leaving the EU. Although legally the referendum was non-binding, the government of that time had promised to implement the result, and it initiated the official EU withdrawal process on 29 March 2017, meaning that the UK was due to leave the EU before 11PM on 29 March 2019, UK time, when the two-year period for Brexit negotiations expired. Membership of the EU and its predecessors has long been a topic of debate in the United Kingdom. The country joined what were then the three European Communities, principally the European Economic Community (EEC, or "Common Market"), in 1973. A previous referendum on continued membership of the then European Communities (Common Market) was held in 1975, and it was approved by 67.2% of those who voted. The European Communities were formed in the 1950s – the European Coal and Steel Community (ECSC) in 1952, and the European Atomic Energy Community (EAEC or Euratom) and European Economic Community (EEC) in 1957. The EEC, the more ambitious of the three, came to be known as the "Common Market". The UK first applied to join them in 1961, but this was vetoed by France. A later application was successful, and the UK joined in 1973; two years later, the first ever national referendum on continuing membership resulted in 67.2% approval, with a 64.62% turnout. Political integration gained greater focus when the Maastricht Treaty established the European Union (EU) in 1993, which incorporated (and after the Treaty of Lisbon, succeeded) the European Communities. Prior to the 2010 general election, the then Leader of the Conservative Party David Cameron had given a "cast iron" promise of a referendum on the Lisbon Treaty, which he backtracked on after all EU countries had ratified the treaty before the election. When they attended the May 2012 NATO summit meeting, UK Prime Minister David Cameron, Foreign Secretary William Hague and Ed Llewellyn discussed the idea of using a European Union referendum as a concession to energise the Eurosceptic wing of the Conservative Party. Cameron promised in January 2013 that, should the Conservatives win a parliamentary majority at the 2015 general election, the British government would negotiate more favourable arrangements for continuing British membership of the EU, before holding a referendum on whether the UK should remain in or leave the EU. The Conservative Party published a draft EU Referendum Bill in May 2013, and outlined its plans for renegotiation followed by an in-out vote (i.e. a referendum giving options only of leaving and of remaining in under the current terms, or under new terms if these had become available), were the party to be re-elected in 2015. The draft Bill stated that the referendum had to be held no later than 31 December 2017. The draft legislation was taken forward as a Private Member's Bill by Conservative MP James Wharton which was known as the European Union (Referendum) Bill 2013. The bill's First Reading in the House of Commons took place on 19 June 2013. Cameron was said by a spokesperson to be "very pleased" and would ensure the Bill was given "the full support of the Conservative Party". The bill received its Second Reading on 5 July 2013, passing by 304 votes to none after almost all Labour MPs and all Liberal Democrat MPs abstained, cleared the Commons in November 2013, and was then introduced to the House of Lords in December 2013, where members voted to block the bill. Conservative MP Bob Neill then introduced an Alternative Referendum Bill to the Commons. After a debate on 17 October 2014, it passed to the Public Bills Committee, but because the Commons failed to pass a money resolution, the bill was unable to progress further before the dissolution of parliament on 27 March 2015. At the European Parliament election in 2014, the UK Independence Party (UKIP) secured more votes and more seats than any other party, the first time a party other than the Conservatives or Labour had topped a nationwide poll in 108 years, leaving the Conservatives in third place. Under Ed Miliband's leadership between 2010 and 2015, the Labour Party ruled out an in-out referendum unless and until a further transfer of powers from the UK to the EU were to be proposed. In their manifesto for the 2015 general election, the Liberal Democrats pledged to hold an in-out referendum only in the event of there being a change in the EU treaties. The UK Independence Party (UKIP), the British National Party (BNP), the Green Party, the Democratic Unionist Party and the Respect Party all supported the principle of a referendum. In early 2014, David Cameron outlined the changes he aimed to bring about in the EU and in the UK's relationship with it. These were: additional immigration controls, especially for citizens of new EU member states; tougher immigration rules for present EU citizens; new powers for national parliaments collectively to veto proposed EU laws; new free-trade agreements and a reduction in bureaucracy for businesses; a lessening of the influence of the European Court of Human Rights on British police and courts; more power for individual member states, and less for the central EU; and abandonment of the EU notion of "ever closer union". He intended to bring these about during a series of negotiations with other EU leaders and then, if re-elected, to announce a referendum. In November that year, Cameron gave an update on the negotiations and further details of his aims. The key demands made of the EU were: on economic governance, to recognise officially that Eurozone laws would not necessarily apply to non-Eurozone EU members and the latter would not have to bail out troubled Eurozone economies; on competitiveness, to expand the single market and to set a target for the reduction of bureaucracy for businesses; on sovereignty, for the UK to be legally exempted from "ever closer union" and for national parliaments to be able collectively to veto proposed EU laws; and, on immigration, for EU citizens going to the UK for work to be unable to claim social housing or in-work benefits until they had worked there for four years, and for them to be unable to send child benefit payments overseas. The outcome of the renegotiations was announced in February 2016. The renegotiated terms were in addition to the United Kingdom's existing opt-outs in the European Union and the UK rebate. The significance of the changes to the EU-UK agreement was contested and speculated upon, with none of the changes considered fundamental, but some considered important to many British people. Some limits to in-work benefits for EU immigrants were agreed, but these would apply on a sliding scale for four years and would be for new immigrants only; before they could be applied, a country would have to get permission from the European Council. Child benefit payments could still be made overseas, but these would be linked to the cost of living in the other country. On sovereignty, the UK was reassured that it would not be required to participate in "ever closer union"; these reassurances were "in line with existing EU law". Cameron's demand to allow national parliaments to veto proposed EU laws was modified to allow national parliaments collectively to object to proposed EU laws, in which case the European Council would reconsider the proposal before itself deciding what to do. On economic governance, anti-discrimination regulations for non-Eurozone members would be reinforced, but they would be unable to veto any legislation. The final two areas covered were proposals to "exclude from the scope of free movement rights, third country nationals who had no prior lawful residence in a Member State before marrying a Union citizen" and to make it easier for member states to deport EU nationals for public policy or public security reasons. The extent to which the various parts of the agreement would be legally binding is complex; no part of the agreement itself changed EU law, but some parts could be enforceable in international law. The EU had reportedly offered David Cameron a so-called "emergency brake", which would have allowed the UK to withhold social benefits to new immigrants for the first four years after they arrived; this brake could have been applied for a period of seven years. That offer was still on the table at the time of the Brexit referendum, but expired when the vote determined that the UK would leave the EU. Cameron claimed that "he could have avoided Brexit had European leaders let him control migration", according to the Financial Times. However, Angela Merkel said that the offer had not been made by the EU. Merkel stated in the German Parliament: "If you wish to have free access to the single market then you have to accept the fundamental European rights as well as obligations that come from it. This is as true for Great Britain as for anybody else." The planned referendum was included in the Queen's Speech on 27 May 2015. It was suggested at the time that Cameron was planning to hold the referendum in October 2016, but the European Union Referendum Act 2015, which authorised it, went before the House of Commons the following day, just three weeks after the election. On the bill's second reading on 9 June, members of the House of Commons voted by 544 to 53 in favour, endorsing the principle of holding a referendum, with only the Scottish National Party voting against. In contrast to the Labour Party's position prior to the 2015 general election under Miliband, acting Labour leader Harriet Harman committed her party to supporting plans for an EU referendum by 2017. To enable the referendum to take place, the European Union Referendum Act was passed by the Parliament of the United Kingdom. It extended to include and take legislative effect in Gibraltar, and received royal assent on 17 December 2015. The Act was, in turn, confirmed, enacted and implemented in Gibraltar by the European Union (Referendum) Act 2016 (Gibraltar), which was passed by the Gibraltar Parliament and entered into law upon receiving the assent of the Governor of Gibraltar on 28 January 2016. The European Union Referendum Act required a referendum to be held on the question of the UK's continued membership of the European Union (EU) before the end of 2017. It did not contain any requirement for the UK Government to implement the results of the referendum. Instead, it was designed to gauge the electorate's opinion on EU membership. The referendums held in Scotland, Wales and Northern Ireland in 1997 and 1998 are examples of this type, where opinion was tested before legislation was introduced. The UK does not have constitutional provisions which would require the results of a referendum to be implemented, unlike, for example, the Republic of Ireland, where the circumstances in which a binding referendum should be held are set out in its constitution. In contrast, the legislation that provided for the referendum held on AV in May 2011 would have implemented the new system of voting without further legislation, provided that the boundary changes also provided for in the Parliamentary Voting System and Constituencies Act 2011 were also implemented. In the event, there was a substantial majority against any change. The 1975 referendum was held after the re-negotiated terms of the UK's EC membership had been agreed by all EC Member States, and the terms set out in a command paper and agreed by both Houses. Following the 2016 referendum, the High Court confirmed that the result was not legally binding, owing to the constitutional principles of parliamentary sovereignty and representative democracy, and the legislation authorising the referendum did not contain clear words to the contrary. Prior to being officially announced, it was widely speculated that a June date for the referendum was a serious possibility. The First Ministers of Northern Ireland, Scotland, and Wales co-signed a letter to Cameron asking him not to hold the referendum in June, as devolved elections were scheduled to take place the previous month. These elections had been postponed for a year to avoid a clash with the 2015 general election, after Westminster had implemented the Fixed-term Parliament Act. Cameron refused this request, saying people were able to make up their own minds in multiple elections spaced a short time from each other. In February 2016, Cameron announced that the UK Government would formally recommend to the British people that the UK should remain a member of a reformed European Union and that the referendum would be held on 23 June, marking the official launch of the campaign. He also announced that Parliament would enact secondary legislation on 22 February relating to the European Union Referendum Act 2015. With the official launch, ministers of the UK Government were then free to campaign on either side of the argument in a rare exception to Cabinet collective responsibility. 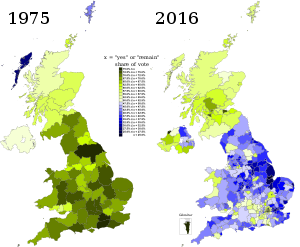 The right to vote in the referendum in the United Kingdom is defined by the legislation as limited to residents of the United Kingdom who were either also Commonwealth citizens under the British Nationality Act 1948 (which include British citizens and other British nationals), or those who were also citizens of the Republic of Ireland, or both. Members of the House of Lords, who could not vote in general elections, were able to vote in the referendum. The electorate of 46,500,001 represented 70.8% of the population of 65,678,000 (UK and Gibraltar). Other than the residents of Gibraltar, British Overseas Territories Citizens residing in the British Overseas Territories were unable to vote in the referendum. The deadline to register to vote was initially midnight on 7 June 2016; however, this was extended by 48 hours owing to technical problems with the official registration website on 7 June, caused by unusually high web traffic. Some supporters of the Leave campaign, including the Conservative MP Sir Gerald Howarth, criticised the government's decision to extend the deadline, alleging it gave Remain an advantage because many late registrants were young people who were considered to be more likely to vote for Remain. According to provisional figures from the Electoral Commission, almost 46.5 million people were eligible to vote. Nottingham City Council emailed a Vote Leave supporter to say that the council was unable to check whether the nationality that people stated on their voting registration form was true, and hence that they simply had to assume that the information that was submitted was, indeed, correct. Kingston upon Thames Council and the Electoral Commission stated that Jakub Pawlowski, a Polish voter in Kingston upon Thames declared himself as being British on his registration form, and hence, received a referendum polling card in the post, although he is not a UK citizen and did not have the right to receive such a polling card. The voter stated that he specified that he was a Polish citizen when registering on the electoral roll, but still had received the card in the post. The matter had been referred to the police. Residents of the Crown Dependencies (which are not part of the United Kingdom), namely the Isle of Man and the Bailiwicks of Jersey and Guernsey, even if they were British citizens, were excluded from the referendum unless they were also previous residents of the United Kingdom (that is: England and Wales, Scotland and Northern Ireland). Some residents of the Isle of Man protested that they, as full British citizens under the British Nationality Act 1981 and living within the British Islands, should also have been given the opportunity to vote in the referendum, as the Isle and the Bailiwicks, although not included as if they were part of the United Kingdom for the purpose of European Union (and European Economic Area (EEA)) membership (as is the case with Gibraltar), would also have been significantly affected by the outcome and impact of the referendum. As of October 2015[update], there was a cross-party, formal group campaigning for Britain to remain a member of the EU, called Britain Stronger in Europe, while there were two groups promoting British withdrawal from the EU which sought to be the official Leave campaign: Leave.EU (supported by most of UKIP, including Nigel Farage), and Vote Leave (supported by Conservative Party Eurosceptics). The Electoral Commission announced on 13 April 2016 that Vote Leave was the official leave campaign. This gave it the right to spend up to £7,000,000, a free mailshot, TV broadcasts and £600,000 in public funds. Leave.EU also had an umbrella group offshoot, the cross-party Grassroots Out. The UK Government's official position was to support the "Remain" option. Nevertheless, Cameron announced that Conservative Ministers and MPs were free to campaign in favour of remaining in the EU or leaving it, according to their conscience. This decision came after mounting pressure for a free vote for ministers. In an exception to the usual rule of cabinet collective responsibility, Cameron allowed cabinet ministers to campaign publicly for EU withdrawal. A Government-backed campaign was launched in April. On 16 June, all official national campaigning was suspended until 19 June after the murder of MP Jo Cox. HM Government distributed a leaflet to every household in England in the week commencing on 11 April, and in Scotland, Wales and Northern Ireland on 5 May (after devolved elections). It gave details on why the government's position was that the UK should remain in the EU. The rationale was that internal polls showed that 85% of the UK population wanted more information from the Government. It was criticised by those wanting to leave as being an unfair advantage, inaccurate and a waste of money costing £9,300,000 for the campaign. In the week beginning on 16 May, the Electoral Commission sent a voting guide regarding the referendum to every household within the UK and Gibraltar to raise awareness of the upcoming referendum. The eight-page guide contained details on how to vote, as well as a sample of the actual ballot paper, and a whole page each was given to the campaign groups Britain Stronger in Europe and Vote Leave to present their case. Those who favoured withdrawal from the European Union – commonly referred to as Brexit – argued that the EU has a democratic deficit and that being a member undermined national sovereignty, while those who favoured membership argued that in a world with many supranational organisations any loss of sovereignty was compensated by the benefits of EU membership. Those who wanted to leave the EU argued that it would allow the UK to better control immigration, thus reducing pressure on public services, housing and jobs; save billions of pounds in EU membership fees; allow the UK to make its own trade deals; and free the UK from EU regulations and bureaucracy that they saw as needless and costly. Those who wanted to remain argued that leaving the EU would risk the UK's prosperity; diminish its influence over world affairs; jeopardise national security by reducing access to common European criminal databases and result in trade barriers between the UK and the EU. In particular, they argued that it would lead to job losses, delays in investment into the UK and risks to business. The table lists political parties with representation in either the House of Commons or the House of Lords, the European Parliament, the Scottish Parliament, the Northern Ireland Assembly, the Welsh Assembly, or the Gibraltar Parliament. Among minor parties, the Socialist Labour Party, the Communist Party, Britain First, the British National Party (BNP), Éirígí, Respect Party, Trade Unionist and Socialist Coalition (TUSC), the Social Democratic Party, Liberal Party, and Independence from Europe, and the Workers' Party of Ireland,  supported leaving the EU. The Scottish Socialist Party (SSP) supported remaining in the EU. The Women's Equality Party had no official position on the issue. For the positions of backbench MPs and other politicians, see Endorsements in the United Kingdom European Union membership referendum, 2016. The Cabinet of the United Kingdom is a body responsible for making decisions on policy and organising governmental departments; it is chaired by the Prime Minister and contains most of the government's ministerial heads. Following the announcement of the referendum in February, 23 of the 30 Cabinet ministers (including attendees) supported the UK staying in the EU. Iain Duncan Smith, in favour of leaving, resigned on 19 March and was replaced by Stephen Crabb who was in favour of remaining. Crabb was already a cabinet member, as the Secretary of State for Wales, and his replacement, Alun Cairns, was in favour of remaining, bringing the total number of pro-remain Cabinet members to 25. Various UK multinationals have stated that they would not like the UK to leave the EU because of the uncertainty it would cause, such as Shell, BT and Vodafone, with some assessing the pros and cons of Britain exiting. The banking sector was one of the most vocal advocating to stay in the EU, with the British Bankers' Association saying: "Businesses don't like that kind of uncertainty". RBS warned of potential damage to the economy. Furthermore, HSBC and foreign-based banks JP Morgan and Deutsche Bank claim a Brexit might result in the banks' changing domicile. According to Goldman Sachs and the City of London's policy chief, all such factors could impact on the City of London's present status as a European and global market leader in financial services. In February 2016, leaders of 36 of the FTSE 100 companies, including Shell, BAE Systems, BT and Rio Tinto, officially supported staying in the EU. Moreover, 60% of the Institute of Directors and the EEF memberships supported staying. Richard Branson stated that he was "very fearful" of the consequences of a UK exit from the EU. Alan Sugar expressed similar concern. James Dyson, founder of the Dyson company, argued in June 2016 that the introduction of tariffs would be less damaging for British exporters than the appreciation of the pound against the Euro, arguing that, because Britain ran a 100 billion pound trade deficit with the EU, tariffs could represent a significant revenue source for the Treasury. Pointing out that languages, plugs and laws differ between EU member states, Dyson said that the 28-country bloc was not a single market, and argued the fastest growing markets were outside the EU. Engineering company Rolls-Royce wrote to employees to say that it did not want the UK to leave the EU. Surveys of large UK businesses showed a strong majority favoured the UK remaining in the EU. Small and medium-sized UK businesses were more evenly split. Polls of foreign businesses found that around half would be less likely to do business in the UK, while 1% would increase their investment in the UK. Two large car manufacturers, Ford and BMW, warned in 2013 against Brexit, suggesting it would be "devastating" for the economy. Conversely, in 2015, some other manufacturing executives told Reuters that they would not shut their plants if the UK left the EU, although future investment might be put at risk. The CEO of Vauxhall stated that a Brexit would not materially affect its business. Foreign-based Toyota CEO Akio Toyoda confirmed that, whether or not Britain left the EU, Toyota would carry on manufacturing cars in Britain as they had done before. In the week following conclusion of the UK's renegotiation (and especially after Boris Johnson announced that he would support the UK leaving), the pound fell to a seven-year low against the dollar and economists at HSBC warned that it could drop even more. At the same time, Daragh Maher, head of HSBC, suggested that if Sterling dropped in value so would the Euro. European banking analysts also cited Brexit concerns as the reason for the Euro's decline. Immediately after a poll in June 2016 showed that the Leave campaign was 10 points ahead, the pound dropped by a further one per cent. In the same month, it was announced that the value of goods exported from the UK in April had shown a month-on-month increase of 11.2%, "the biggest rise since records started in 1998". When the London Stock Exchange opened on the morning of 24 June, the FTSE 100 fell from 6338.10 to 5806.13 in the first ten minutes of trading. It recovered to 6091.27 after a further 90 minutes, before further recovering to 6162.97 by the end of the day's trading. When the markets reopened the following Monday, the FTSE 100 showed a steady decline losing over 2% by mid-afternoon. Upon opening later on the Friday after the referendum, the US Dow Jones Industrial Average dropped nearly 450 points or about 2½% in less than half an hour. The Associated Press called the sudden worldwide stock market decline a stock market crash. Investors in worldwide stock markets lost more than the equivalent of US$2 trillion on 24 June 2016, making it the worst single-day loss in history, in absolute terms. The market losses amounted to US$3 trillion by 27 June. The value of the pound sterling against the US dollar fell to a 31-year low. The UK's and the EU's sovereign debt credit rating was also lowered by Standard & Poor's. Czech prime minister Bohuslav Sobotka suggested in February 2016 that the Czech Republic would start discussions on leaving the EU if the UK voted for an EU exit. Marine Le Pen, the leader of the French Front national, described the possibility of a Brexit as "like the fall of the Berlin Wall" and commented that "Brexit would be marvellous – extraordinary – for all European peoples who long for freedom". A poll in France in April 2016 showed that 59% of the French people were in favour of Britain remaining in the EU. Polish President Andrzej Duda lent his support for the UK remaining within the EU. Moldovan Prime Minister Pavel Filip asked all citizens of Moldova living in the UK to speak to their British friends and convince them to vote for the UK to remain in the EU. Spanish foreign minister José García-Margallo said Spain would demand control of Gibraltar the "very next day" after a British withdrawal from the EU. Margallo also threatened to close the border with Gibraltar if Britain left the EU. The Dutch politician Geert Wilders, leader of the Party for Freedom, said that the Netherlands should follow Britain's example: "Like in the 1940s, once again Britain could help liberate Europe from another totalitarian monster, this time called 'Brussels'. Again, we could be saved by the British." Swedish foreign minister Margot Wallström said on 11 June 2016 that if Britain left the EU, other countries would have referendums on whether to leave the EU, and that if Britain stayed in the EU, other countries would negotiate, ask and demand to have special treatment. Christine Lagarde, the managing director of the International Monetary Fund, warned in February 2016 that the uncertainty over the outcome of the referendum would be bad "in and of itself" for the British economy. In response, Leave campaigner Priti Patel said a previous warning from the IMF regarding the coalition government's deficit plan for the UK was proven incorrect and that the IMF "were wrong then and are wrong now". In October 2015, United States Trade Representative Michael Froman declared that the United States was not keen on pursuing a separate free-trade agreement (FTA) with Britain if it were to leave the EU, thus, according to The Guardian, undermining a key economic argument of proponents of those who say Britain would prosper on its own and be able to secure bilateral FTAs with trading partners. Also in October 2015, the United States Ambassador to the United Kingdom Matthew Barzun said that UK participation in NATO and the EU made each group "better and stronger" and that, while the decision to remain or leave is a choice for the British people, it was in the US interest that it remain. In April 2016, eight former US Secretaries of the Treasury, who had served both Democratic and Republican presidents, urged Britain to remain in the EU. In July 2015, President Barack Obama confirmed the long-standing US preference for the UK to remain in the EU. Obama said: "Having the UK in the EU gives us much greater confidence about the strength of the transatlantic union, and is part of the cornerstone of the institutions built after World War II that has made the world safer and more prosperous. We want to make sure that the United Kingdom continues to have that influence." Obama's intervention was criticised by Republican Senator Ted Cruz as "a slap in the face of British self-determination as the president, typically, elevated an international organisation over the rights of a sovereign people", and stated that "Britain will be at the front of the line for a free trade deal with America", were a Brexit to occur. Two years later, one of Obama's former aides recounted that the public intervention was made following a request by Cameron. Prior to the vote, Republican presidential candidate Donald Trump anticipated that Britain would leave based on its concerns over migration, while Democratic presidential candidate Hillary Clinton hoped that Britain would remain in the EU to strengthen transatlantic co-operation. In October 2015, Chinese President Xi Jinping declared his support for Britain remaining in the EU, saying "China hopes to see a prosperous Europe and a united EU, and hopes Britain, as an important member of the EU, can play an even more positive and constructive role in promoting the deepening development of China-EU ties". Chinese diplomats have stated "off the record" that the People's Republic sees the EU as a counterbalance to American economic power, and that an EU without Britain would mean a stronger United States. In February 2016, the finance ministers from the G20 major economies warned that leaving the EU would lead to "a shock" in the global economy. In May 2016, the Australian Prime Minister Malcolm Turnbull said that Australia would prefer the UK to remain in the EU, but that it was a matter for the British people, and "whatever judgment they make, the relations between Britain and Australia will be very, very close". Indonesian president Joko Widodo stated during a European trip that he was not in favour of Brexit. Sri Lankan Prime Minister Ranil Wickremesinghe issued a statement of reasons why he was "very concerned" at the possibility of Brexit. Russian President Vladimir Putin said: "I want to say it is none of our business, it is the business of the people of the UK." Maria Zakharova, the official Russian foreign ministry spokesperson, said: "Russia has nothing to do with Brexit. We are not involved in this process in any way. We don't have any interest in it." In November 2015, the Governor of the Bank of England Mark Carney said that the Bank of England would do what was necessary to help the UK economy if the British people voted to leave the EU. In March 2016, Carney told MPs that an EU exit was the "biggest domestic risk" to the UK economy, but that remaining a member also carried risks, related to the European Monetary Union, of which the UK is not a member. In May 2016, Carney said that a "technical recession" was one of the possible risks of the UK leaving the EU. However, Iain Duncan Smith said Carney's comment should be taken with "a pinch of salt", saying "all forecasts in the end are wrong". In March 2016, Nobel prize-winning economist Joseph Stiglitz argued that he might reconsider his support for the UK remaining in the EU if the proposed Transatlantic Trade and Investment Partnership (TTIP) were to be agreed to. Stiglitz warned that under the investor-state dispute settlement provision in current drafts of the TTIP, governments risked being sued for loss of profits resulting from new regulations, including health and safety regulations to limit the use of asbestos or tobacco. The German economist Clemens Fuest wrote that there was a liberal, free-trade bloc in the EU comprising the UK, the Netherlands, the Czech Republic, Sweden, Denmark, Ireland, Slovakia, Finland, Estonia, Latvia and Lithuania, controlling 32% of the votes in the European Council and standing in opposition to the dirigiste, protectionist policies favoured by France and its allies. Germany with its 'social market' economy stands midway between the French dirigiste economic model and the British free-market economic model. From the German viewpoint, the existence of the liberal bloc allows Germany to play off free-market Britain against dirigiste France, and that if Britain were to leave, the liberal bloc would be severely weakened, thereby allowing the French to take the EU into a much more dirigiste direction that would be unattractive from the standpoint of Berlin. A study by Oxford Economics for the Law Society of England and Wales has suggested that Brexit would have a particularly large negative impact on the UK financial services industry and the law firms that support it, which could cost the law sector as much as £1.7bn per annum by 2030. The Law Society's own report into the possible effects of Brexit notes that leaving the EU would be likely to reduce the role played by the UK as a centre for resolving disputes between foreign firms, whereas a potential loss of "passporting" rights would require financial services firms to transfer departments responsible for regulatory oversight overseas. World Pensions Forum director M. Nicolas J. Firzli has argued that the Brexit debate should be viewed within the broader context of economic analysis of EU law and regulation in relation to English common law, arguing: "Every year, the British Parliament is forced to pass tens of new statutes reflecting the latest EU directives coming from Brussels – a highly undemocratic process known as 'transposition'... Slowly but surely, these new laws dictated by EU commissars are conquering English common law, imposing upon UK businesses and citizens an ever-growing collection of fastidious regulations in every field". In May 2016, the Institute for Fiscal Studies said that an EU exit could mean two more years of austerity cuts as the government would have to make up for an estimated loss of £20 billion to £40 billion of tax revenue. The head of the IFS, Paul Johnson, said that the UK "could perfectly reasonably decide that we are willing to pay a bit of a price for leaving the EU and regaining some sovereignty and control over immigration and so on. That there would be some price though, I think is now almost beyond doubt." Michael Dougan, Professor of European Law and Jean Monnet Chair in EU Law at the University of Liverpool and a constitutional lawyer, described the Leave campaign as "one of the most dishonest political campaigns this country [the UK] has ever seen", for using arguments based on constitutional law that he said were readily demonstrable as false. Guidelines by the Charity Commission for England and Wales that forbid political activity for registered charities have limited UK health organizations' commentary on EU poll, according to anonymous sources consulted by the Lancet. According to Simon Wessely, head of psychological medicine at the Institute of Psychiatry, King's College London – neither a special revision of the guidelines from 7 March 2016, nor Cameron's encouragement have made health organisations, willing to speak out. The Genetic Alliance UK the Royal College of Midwives the Association of the British Pharmaceutical Industry and the Chief Executive of the National Health Service had all stated pro-remain positions by early June 2016. A June 2016 survey of British fishermen found that 92% intended to vote to leave the EU. The EU's Common Fisheries Policy was mentioned as a central reason for their near-unanimity. More than three-quarters believed that they would be able to land more fish, and 93% stated that leaving the EU would benefit the fishing industry. More than half of fish caught in British waters are caught by non-UK vessels due to the EU's Common Fisheries Policy. In May 2016, more than 300 historians wrote in a joint letter to The Guardian that Britain could play a bigger role in the world as part of the EU. They said: "As historians of Britain and of Europe, we believe that Britain has had in the past, and will have in the future, an irreplaceable role to play in Europe." Following David Cameron's announcement of an EU referendum, British think tank the Institute of Economic Affairs (IEA) announced in July 2013 a competition to find the best plan for a UK exit from the European Union, declaring that a departure is a "real possibility" after the 2015 general election. Iain Mansfield, a Cambridge graduate and UKTI diplomat, submitted the winning thesis: A Blueprint for Britain: Openness not Isolation. Mansfield's submission focused on addressing both trade and regulatory issues with EU member states as well as other global trading partners. Citizens of EU countries, including the United Kingdom, have the right to travel, live and work within other EU countries, as free movement is one of the four founding principles of the EU. Campaigners for remaining said that EU immigration had positive impacts on the UK's economy, citing that the country's growth forecasts were partly based upon continued high levels of net immigration. The Office for Budget Responsibility also claimed that taxes from immigrants boost public funding. A recent[when?] academic paper suggests that migration from Eastern Europe put pressure on wage growth at the lower end of the wage distribution, while at the same time increasing pressures on public services and housing. The Leave campaign believed reduced immigration would ease pressure in public services such as schools and hospitals, as well as giving British workers more jobs and higher wages. According to official Office for National Statistics data, net migration in 2015 was 333,000, which was the second highest level on record, far above David Cameron's target of tens of thousands. Net migration from the EU was 184,000. The figures also showed that 77,000 EU migrants who came to Britain were looking for work. After the announcement had been made as to the outcome of the referendum, Rowena Mason, political correspondent for The Guardian offered the following assessment: "Polling suggests discontent with the scale of migration to the UK has been the biggest factor pushing Britons to vote out, with the contest turning into a referendum on whether people are happy to accept free movement in return for free trade." A columnist for The Times, Philip Collins, went a step further in his analysis: "This was a referendum about immigration disguised as a referendum about the European Union." The Conservative MEP (Member of the European Parliament) representing South East England, Daniel Hannan, predicted on the BBC program Newsnight that the level of immigration would remain high after Brexit. "Frankly, if people watching think that they have voted and there is now going to be zero immigration from the EU, they are going to be disappointed. ... you will look in vain for anything that the Leave campaign said at any point that ever suggested there would ever be any kind of border closure or drawing up of the drawbridge." The EU had offered David Cameron a so-called "emergency brake" which would have allowed the UK to withhold social benefits to new immigrants for the first four years after they arrived; this brake could have been applied for a period of seven years." That offer was still on the table at the time of the Brexit referendum but expired when the vote determined that the UK would leave the EU. The possibility that the UK's smaller constituent countries could vote to remain within the EU but find themselves withdrawn from the EU led to discussion about the risk to the unity of the United Kingdom. Scotland's First Minister, Nicola Sturgeon, made it clear that she believed that a second independence referendum would "almost certainly" be demanded by Scots if the UK voted to leave the EU but Scotland did not. The First Minister of Wales, Carwyn Jones, said: "If Wales votes to remain in [the EU] but the UK votes to leave, there will be a... constitutional crisis. The UK cannot possibly continue in its present form if England votes to leave and everyone else votes to stay". There was concern that the Transatlantic Trade and Investment Partnership (TTIP), a proposed trade agreement between the United States and the EU, would be a threat to the public services of EU member states. Jeremy Corbyn, on the Remain side, said that he pledged to veto TTIP in Government. John Mills, on the Leave side, said that the UK could not veto TTIP because trade pacts were decided by Qualified Majority Voting in the European Council. A debate was held by The Guardian on 15 March 2016, featuring the leader of UKIP Nigel Farage, Conservative MP Andrea Leadsom, the leader of Labour's "yes" campaign Alan Johnson and former leader of the Liberal Democrats Nick Clegg. Earlier in the campaign, on 11 January, a debate took place between Nigel Farage and Carwyn Jones, who was at the time the First Minister of Wales and leader of the Welsh Labour Party. Reluctance to have Conservative Party members argue against one another has seen some debates split, with Leave and Remain candidates interviewed separately. The Spectator held a debate hosted by Andrew Neil on 26 April, which featured Nick Clegg, Liz Kendall and Chuka Umunna arguing for a remain vote, and Nigel Farage, Daniel Hannan and Kate Hoey arguing for a leave vote. The Daily Express held a debate on 3 June, featuring Nigel Farage, Labour MP Kate Hoey and Conservative MP Jacob Rees-Mogg debating Labour MPs Siobhain McDonagh and Chuka Umunna and businessman Richard Reed, co-founder of Innocent drinks. 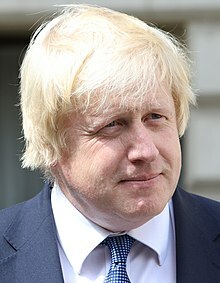 Essex TV produced a documentary named 'Is Essex IN or OUT' released on 20 June, featuring Boris Johnson, local public figures and various members of the public from Essex. Andrew Neil presented four interviews ahead of the referendum. The interviewees were Hilary Benn, George Osborne, Nigel Farage and Iain Duncan Smith on 6, 8, 10 and 17 May, respectively. The scheduled debates and question sessions included a number of question and answer sessions with various campaigners. and a debate on ITV held on 9 June that included Angela Eagle, Amber Rudd and Nicola Sturgeon, Boris Johnson, Andrea Leadsom, and Gisela Stuart. EU Referendum: The Great Debate was held at Wembley Arena on 21 June and hosted by David Dimbleby, Mishal Husain and Emily Maitlis in front of an audience of 6,000. The audience was split evenly between both sides. Sadiq Khan, Ruth Davidson and Frances O'Grady appeared for Remain. Leave was represented by the same trio as the ITV debate on 9 June (Johnson, Leadsom and Stuart). Europe: The Final Debate with Jeremy Paxman was held the following day on Channel 4. In England, as happened in the 2011 AV referendum, the 326 districts were used as the local voting areas and the returns of these then fed into nine English regional counts. In Scotland the local voting areas were the 32 local councils which then fed their results into the Scottish national count, and in Wales the 22 local councils were their local voting areas before the results were then fed into the Welsh national count. Northern Ireland, as was the case in the AV referendum, was a single voting and national count area although local totals by Westminster parliamentary constituency areas were announced. On 16 June 2016, one pro-EU Labour MP, Jo Cox, was shot and killed in Birstall, West Yorkshire the week before the referendum by a man calling himself "death to traitors, freedom for Britain", and a man who intervened was injured. The two rival official campaigns suspended their activities as a mark of respect to Cox. David Cameron cancelled a planned rally in Gibraltar supporting British EU membership. 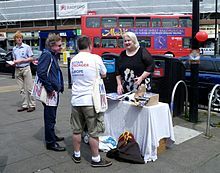 Campaigning resumed on 19 June. Polling officials in the Yorkshire and Humber region also halted counting of the referendum ballots on the evening of 23 June to observe a minute of silence. The Conservative Party, Liberal Democrats, UK Independence Party and the Green Party all announced that they would not contest the ensuing by-election in Cox's constituency as a mark of respect. On polling day itself two polling stations in Kingston upon Thames were flooded by rain and had to be relocated. In advance of polling day, concern had been expressed that the courtesy pencils provided in polling booths could allow votes to be later altered. Although this was widely dismissed as a conspiracy theory, some Leave campaigners advocated that voters should instead use pens to mark their ballot papers. 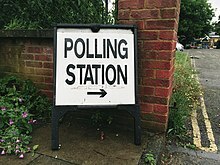 On polling day in Winchester an emergency call was made to police about "threatening behaviour" outside the polling station. After questioning a woman who had been offering to lend her pen to voters, the police decided that no offence was being committed. Of the 381 voting areas in Great Britain and Gibraltar and the 18 Northern Ireland parliamentary constituencies a total of 270 returned majority votes in favour of "Leave" whereas 129 returned majority votes in favour of "Remain" in the referendum including all 32 areas in Scotland. The final result was announced on Friday 24 June 2016 at 07:20 BST by then-Electoral Commission Chairwoman Jenny Watson at Manchester Town Hall after all 382 voting areas and the twelve UK regions had declared their totals. With a national turnout of 72% across the United Kingdom and Gibraltar the target to secure the majority win for the winning side was 16,788,672 votes. The vote of the electorate was to "Leave the European Union" by a majority of 1,269,501 votes (3.8%) over those who voted "Remain a member of the European Union". [irrelevant citation] The national turnout of 72% was the highest ever for a UK-wide referendum and the highest for any national vote since the 1992 general election. Researchers based at the University of Warwick found that areas with "deprivation in terms of education, income and employment were more likely to vote Leave". The Leave vote tended to be greater in areas which had lower incomes and high unemployment, a strong tradition of manufacturing employment, and in which the population had fewer qualifications. It also tended to be greater where there was a large flow of Eastern European migrants (mainly low-skilled workers) into areas with a large share of native low-skilled workers. 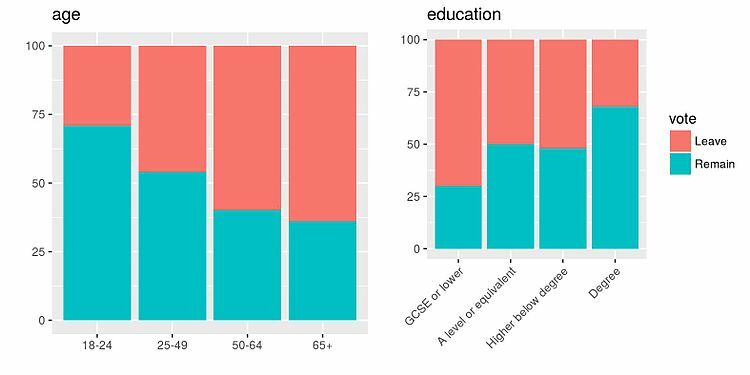 Those in lower social grades (especially the 'working class') were more likely to vote Leave, while those in higher social grades (especially the 'upper middle class') more likely to vote Remain. Opinion polling by Lord Ashcroft Polls found that Leave voters believed leaving the EU was "more likely to bring about a better immigration system, improved border controls, a fairer welfare system, better quality of life, and the ability to control our own laws", while Remain voters believed EU membership "would be better for the economy, international investment, and the UK's influence in the world". The polling found that the main reasons people had voted Leave were "the principle that decisions about the UK should be taken in the UK", and that leaving "offered the best chance for the UK to regain control over immigration and its own borders". The main reason people voted Remain was that "the risks of voting to leave the EU looked too great when it came to things like the economy, jobs and prices". The referendum was criticised for not granting people younger than 18 years of age a vote. Unlike in the 2014 Scottish independence referendum, the vote was not extended to 16- and 17-year-old citizens. Critics argued that these people would live with the consequences of the referendum for longer than those who were able to vote. Some supporters for the inclusion of these young citizens considered this exclusion a violation of democratic principles and a major shortcoming of the referendum. The foreign ministry of Ireland stated on 24 June 2016 that the number of applications from the UK for Irish passports had increased significantly. Enquiries about passports also increased: the Irish Embassy in London reported 4,000 a day immediately after the vote to leave, in comparison with the normal 200 a day. Other EU nations also had increases in requests for passports from British citizens, including France and Belgium. There were more than a hundred reports of racist abuse and hate crime in the immediate aftermath of the referendum, with many citing the plan to leave the European Union. It was claimed that there had been a 57% increase in hate crime following the referendum vote. However, the National Police Chiefs Council Lead for Hate Crime, Assistant Chief Constable Mark Hamilton, said: "This should not be read as a national increase in hate crime of 57% but an increase in reporting through one mechanism". Others[who?] claimed that the numbers did not necessarily reflect "any objective spread in modern Britain", but that the apparent spike in hate crime was the result of the subjective definition of the crime and that the police being incentivised "to find hatred". In the UK, crimes are recorded as hate crimes based on the perception of the victim. Assistant Chief Constable Maurice Mason of the Essex police explained that “If the person feels it's a hate crime it'll get recorded as a hate crime”, saying that his county's “50% increase in reported hate crimes” post referendum were “low level matters, some members of the public complaining about Nigel Farage or whatever ... that’ll get recorded as a hate crime”. On 24 June 2016, a Polish school in Cambridgeshire was vandalised with a sign reading "Leave the EU. No more Polish vermin". Following the referendum result, similar signs were distributed outside homes and schools in Huntingdon, with some left on the cars of Polish residents collecting their children from school.The police investigated, but brought no charges and it is not known whether the signs were intended as an attack on the Polish community or to discredit the Brexit vote. 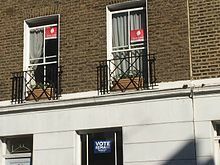 On 26 June, the London office of the Polish Social and Cultural Association was vandalised with graffiti that was initially characterised as a racist hate crime. However it later emerged that the graffiti, which said, 'F*** you OMP’ may have been directed at OMP, a eurosceptic Polish think tank that had issued a statement congratulating Britain on its Brexit vote.. This incident was also unsuccessfully investigated by the police. In Wales, a Muslim woman was told to leave after the referendum, even though she had been born and raised in the United Kingdom. Other reports of racism occurred as perceived foreigners were targeted in supermarkets, on buses and on street corners, and told to leave the country immediately. All such incidents were widely condemned by politicians and religious leaders. The killing of a Polish national Arkadiusz Jozwik in Harlow, Essex in August 2016 was widely, but falsely, speculated to be linked to the Leave result. A BBC Newsnight report by John Sweeney showed an interview with someone who knew the victim who then claimed that Leading Brexit campaigner Nigel Farage had "blood on his hands". It was mentioned in the European Parliament by the EU Commissioner Jean-Claude Juncker who said: "We Europeans can never accept Polish workers being harassed, beaten up or even murdered on the streets of Harlow." A teenager was subsequently convicted of manslaughter and sentenced to three and a half years in a young offender institution but the trial did not conclude that the altercation resulting in Jozwik's death was a hate crime. Nigel Farage criticised the "sensationalist" reporting of the issue and complained to the BBC about broadcasting the "blood on his hands" remark. Within hours of the result's announcement, a petition, calling for a second referendum to be held in the event that a result was secured with less than 60% of the vote and on a turnout of less than 75%, attracted tens of thousands of new signatures. The petition had actually been initiated by someone favouring an exit from the EU, one William Oliver Healey of the English Democrats on 24 May 2016, when the Remain faction had been leading in the polls, and had received 22 signatures prior to the referendum result being declared. On 26 June, Healey made it clear on his Facebook page that the petition had actually been started to favour an exit from the EU and that he was a strong supporter of the Vote Leave and Grassroots Out campaigns. Healey also claimed that the petition had been "hijacked by the remain campaign". English Democrats chairman Robin Tilbrook suggested those who had signed the petition were experiencing "sour grapes" about the result of the referendum. It attracted more than four million signatures, meaning it was considered for debate in Parliament; this debate took place on 5 September 2016. Theresa May succeeded David Cameron as Prime Minister following the vote. 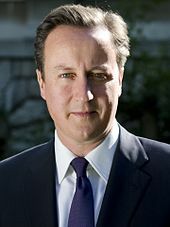 On 24 June, the Conservative Party leader and Prime Minister David Cameron announced that he would resign by October because the Leave campaign had been successful in the referendum. The leadership election was scheduled for 9 September. The new leader would be in place before the autumn conference set to begin on 2 October. Unexpectedly, Boris Johnson, who had been a leading figure for Vote Leave, declined to be nominated shortly before the deadline for nominations. On 13 July, almost three weeks after the vote, Theresa May succeeded Cameron as Prime Minister. The Labour Party leader Jeremy Corbyn faced growing criticism from his party, which had supported remaining within the EU, for poor campaigning. On 26 June 2016, Corbyn sacked Hilary Benn (the shadow foreign secretary) for apparently leading a coup against him. This led to a string of Labour MPs quickly resigning their roles in the party. A no confidence motion was held on 28 June; Corbyn lost the motion with more than 80% (172) of MPs voting against him. Corbyn responded with a statement that the motion had no "constitutional legitimacy" and that he intended to continue as the elected leader. The vote did not require the party to call a leadership election but after Angela Eagle and Owen Smith launched leadership challenges to Corbyn, the Labour Party (UK) leadership election, 2016 was triggered. Corbyn won the contest, with a larger share of the vote than in 2015. On 4 July 2016 Nigel Farage stood down as the leader of UKIP, stating that his "political ambition has been achieved" following the result of the referendum. Following the resignation of the elected party leader Diane James, Farage became an interim leader on 5 October 2016. He was succeeded by Paul Nuttall on 28 November 2016. Scottish First Minister Nicola Sturgeon said on 24 June 2016 that it was "clear that the people of Scotland see their future as part of the European Union" and that Scotland had "spoken decisively" with a "strong, unequivocal" vote to remain in the European Union. On the same day, the Scottish Government announced that officials would plan for a "highly likely" second referendum on independence from the United Kingdom and start preparing legislation to that effect. Former First Minister Alex Salmond said that the vote was a "significant and material change" in Scotland's position within the United Kingdom, and that he was certain his party would implement its manifesto on holding a second referendum. Sturgeon said she will communicate to all EU member states that "Scotland has voted to stay in the EU and I intend to discuss all options for doing so." In reaction to the lack of a unified pro-EU voice following the referendum, the Liberal Democrats and others discussed the launch of a new centre-left political movement. This was officially launched on 24 July 2016 as More United. On the morning of 24 June, the pound sterling fell to its lowest level against the US dollar since 1985. The drop over the day was 8% – the biggest one-day fall in the pound since the introduction of floating exchange rates following the collapse of the Bretton Woods system in 1971. The FTSE 100 initially fell 8%, then recovered to be 3% down by the close of trading on 24 June. The FTSE 100 index fully recovered by 29 June and subsequently rose above its pre-referendum levels. On 28 June 2016, former governor of Bank of England Mervyn King said that current governor Mark Carney would help to guide Britain through the next few months, adding that the BOE would undoubtedly lower the temperature of the post-referendum uncertainty, and that British citizens should keep calm, wait and see. On 5 January 2017, Andy Haldane, chief economist and the executive director of monetary analysis and statistics at the Bank of England, admitted that the bank's forecasts (predicting an economic downturn should the referendum favour Brexit) had proved inaccurate given the subsequent strong market performance. He stated that the bank's models "were rather narrow and fragile [and] ill-equipped to making sense of behaviours that were deeply irrational" and said that his "profession is to some degree in crisis" due to this and the unforeseen 2007–2008 crisis. In August 2016 the Electoral Reform Society published a highly critical report on the referendum and called for a review of how future events are run. Contrasting it very unfavourably with the 'well-informed grassroots' campaign for Scottish independence, Katie Ghose described it as "dire" with “glaring democratic deficiencies” which left voters bewildered. Ghose noted a generally negative response to establishment figures with 29% of voters saying David Cameron made them more likely to vote leave whereas only 14% said he made them want to vote remain. Looking ahead, the society called for an official organisation to highlight misleading claims and for Office of Communications (Ofcom) to define the role that broadcasters were expected to play. The BBC, ITV and Sky News all provided live coverage of the counts and the reaction to the result. The BBC simulcast their domestic coverage on the BBC World News Channel, BBC One and the BBC News Channel which was presented by David Dimbleby, Laura Kuenssberg and John Curtice. ITV's coverage was presented by Tom Bradby, Robert Peston and Allegra Stratton. On 9 May 2016, Leave.EU was fined £50,000 by the UK Information Commissioner's Office 'for failing to follow the rules about sending marketing messages': they sent people text messages without having first gained their permission to do so. In February 2017, the Electoral Commission announced that it was investigating the spending of Stronger In and Vote Leave, along with smaller parties, as they had not submitted all the necessary invoices, receipts, or details to back up their accounts. In April 2017, the Commission specified that 'there were reasonable grounds to suspect that potential offences under the law may have occurred' in relation to Leave.EU. On 4 March 2017, the Information Commissioner's Office also reported that it was 'conducting a wide assessment of the data-protection risks arising from the use of data analytics, including for political purposes' in relation to the Brexit campaign. It was specified that among the organisations to be investigated was Cambridge Analytica and its relationship with the Leave.EU campaign. In May 2017, The Irish Times reported that £425,622 donated by the Constitutional Research Council to the Democratic Unionist Party for spending during the referendum may have originated in Saudi Arabia. In November 2017, the Electoral Commission said that it was investigating allegations that Arron Banks, an insurance businessman and the largest single financial supporter of Brexit, violated campaign spending laws. The Commission's investigation focuses on both Banks and Better for the Country Limited, a company of which Banks is a director and majority shareholder. The company donated £2.4 million to groups supporting British withdrawal from the EU. The investigation began after the Commission found "initial grounds to suspect breaches of electoral law". The Commission specifically seeks to determine "whether or not Mr Banks was the true source of loans reported by a referendum campaigner in his name" and "whether or not Better for the Country Limited was the true source of donations made to referendum campaigners in its name, or if it was acting as an agent". In March 2018, Deutsche Welle reported that Canadian whistleblower Christopher Wylie "told UK lawmakers during a committee hearing...that a firm linked to Cambridge Analytica helped the official Vote Leave campaign [the official pro-Brexit group headed by Boris Johnson and Michael Gove] circumvent campaign financing laws during the Brexit referendum". In July 2018, the Electoral Commission fined Vote Leave £61,000 for not declaring £675,000 incurred under a common plan with BeLeave, unlawfully overspending by £449,079, inaccurately reporting 43 items of spending totalling £236,501, failing to provide the required invoices for "8 payments of over £200, totalling £12,850", and failing to comply with an investigation notice issued by the Commission. Darren Grimes representing BeLeave was fined £20,000, the maximum permitted individual fine, for exceeding its spending limit as an unregistered campaigner by more than £660,000 and delivering an inaccurate and incomplete spending return. Veterans for Britain was also fined £250 for inaccurately reporting a donation it received from Vote Leave. The Electoral Commission referred the matter to the police. On 14 September 2018, following a High Court of Justice case, the court found that Vote Leave had received incorrect advice from the UK Electoral Commission, but confirmed that the overspending had been illegal. Vote Leave subsequently said they would not have paid it without the advice. In the run-up to the Brexit referendum, Prime Minister David Cameron suggested that Russia "might be happy" with a positive Brexit vote, while the Remain campaign accused the Kremlin of secretly backing a "Leave" vote in the referendum. Steve Rosenberg, the Moscow correspondent for BBC News, suggested on 26 June 2016 that the Russian government stood to gain from Brexit in several ways: (1) enabling Russian state media "to contrast post-referendum upheaval and uncertainty abroad with a picture of 'stability' back home and images of a 'strong' President Putin at the helm" in a way that bolstered the ruling United Russia party; (2) to place the value of the British pound under pressure and thereby exact retaliation for sanctions against Russia imposed after its occupation of Crimea; (3) to "make the European Union more friendly towards Russia" in the absence of British membership; and (4) to force the resignation of Cameron, who had been critical of Russian actions. After the referendum result Putin said that Brexit brought "positives and negatives". In December 2016, MP Ben Bradshaw speculated in Parliament that Russia may have interfered in the referendum. In February 2017, he called on the GCHQ intelligence service to reveal the information it had on Russian interference. In April 2017, the House of Commons Public Administration and Constitutional Affairs Select Committee (PACAC) issued a report suggesting that there were technical indications that a June 2016 crash of the voter-registration website was caused by a distributed denial-of-service attack using botnets. The Cabinet Office, in response, stated that it did not believe that "malign intervention" had caused the crash, and instead attributed the crash "to a spike in users just before the registration deadline". In October 2017, MP Damian Collins, chairman of the House of Commons Digital, Culture, Media and Sport Committee, sent a letter to Facebook CEO Mark Zuckerberg requesting documents relating to possible Russian government manipulation of Facebook during the Brexit referendum and the general election the following year. In October 2017, a study by researchers at City, University of London was published in the journal Social Science Computer Review. The article identified 13,493 Twitter accounts that posted a total of about 65,000 messages in the last four weeks of the Brexit referendum campaign, the vast majority campaigning for a "Leave" vote; they were deleted shortly after the referendum. A further 26,538 Twitter accounts suddenly changed their username. The research findings "raised questions about the possibility that a coordinated 'bot army' was deployed, and also about the possibility that Twitter itself may have detected and removed them without disclosing the manipulation". In November 2017, the Electoral Commission told The Times that it had launched an inquiry to "examine the growing role of social media in election campaigns amid concerns from the intelligence and security agencies that Russia is trying to destabilise the democratic process in Britain". The Commission was in contact with Facebook and Twitter as part of the inquiry. After denying it for over a year, Facebook admitted in November 2017 that it was targeted by Russian trolls in the run-up to the Brexit referendum. According to Facebook, Russian-based operatives spent 97 cents to place three adverts on the social network in the run-up to the referendum, which were viewed 200 times. On 10 June 2018, The Guardian reported that investigators from The Observer had seen evidence that Leave.EU funder Arron Banks had met Russian officials "multiple times" from 2015 to 2017 and had discussed "a multibillion dollar opportunity to buy Russian goldmines". ^ a b c d Wilson, Sam (1 April 2014). "Britain and the EU: A long and rocky relationship". BBC. Retrieved 2 June 2016. ^ "Treaty of Maastricht on European Union". EUR-Lex. Retrieved 2 June 2016. ^ Tribune, Chicago. "Fateful O'Hare Airport pizza meeting sealed Brexit vote deal: British media". ^ "David Cameron Pledges EU Referendum if Conservatives Win Next Election". Raidió Teilifís Éireann. 24 January 2013. Retrieved 19 February 2013. ^ "David Cameron: EU referendum bill shows only Tories listen". BBC. 14 May 2013. Retrieved 14 July 2013. ^ "European Union (Referendum) Bill (HC Bill 11)". UK Parliament. Retrieved 3 January 2014. ^ "Private Members' Bills". Parliament of the United Kingdom. Retrieved 8 August 2013. ^ "Presentation of Bills". Parliament of the United Kingdom. Retrieved 8 August 2013. ^ "EU referendum: Tory MP will take forward bill". BBC. 16 May 2013. Retrieved 8 August 2013. ^ Rigby, Elizabeth; Pickard, Jim (31 January 2014). "EU referendum bill blocked in Lords". Financial Times. Retrieved 5 July 2014. ^ "EU referendum bill likely after Bob Neill comes third in backbench ballot". The Guardian. Press Association. 12 June 2014. Retrieved 5 July 2014. ^ Kirkup, James (2 July 2014). "Conservative law on EU referendum raises 'serious' possibilty [sic] of exit, says MP". The Telegraph. Retrieved 17 May 2016. ^ "MPs debate Bob Neill's Bill for EU membership referendum". BBC News. Retrieved 17 May 2016. ^ "European Union (Referendum) Bill 2014–15 – UK Parliament". Parliament of the United Kingdom. Archived from the original on 23 October 2014. Retrieved 17 May 2016. ^ Parker, George; Stacey, Kiran (26 May 2014). "Ukip and Front National lead populist earthquake". Financial Times. Retrieved 22 June 2016. ^ "Miliband: EU poll is 'clear and present danger' to jobs". BBC News. Retrieved 28 May 2016. ^ "Liberal Democrats Hint Cameron's EU Referendum Plan Negotiable". Retrieved 28 May 2016. ^ "Yes to an EU Referendum: Green MP Calls for Chance to Build a Better Europe". Green Party of England and Wales. Retrieved 26 April 2014. ^ DUP manifesto, 2015 Archived 22 October 2015 at the Wayback Machine, mydup.com. Retrieved 28 May 2016. ^ "The EU" Archived 8 April 2014 at the Wayback Machine. Respect Party. Retrieved 26 April 2014. ^ The Conservative Party Manifesto 2015 (PDF). Conservative Party. p. 30. Retrieved 16 May 2015. ^ a b c Ross, Tim (15 March 2014). "David Cameron: my seven targets for a new EU". The Daily Telegraph. Retrieved 8 June 2016. ^ a b "The four key points from David Cameron's EU letter". BBC News. Retrieved 8 June 2016. ^ Cameron, David. "A new settlement for the United Kingdom in a reformed European Union" (PDF). Retrieved 8 June 2016. ^ a b c d e McKinney, Conor James. "Explaining the EU deal: an introduction". Retrieved 12 June 2016. ^ O'Brien, Charlotte. "Explaining the EU deal: child benefit". Retrieved 12 June 2016. ^ Craig, Paul. "Explaining the EU deal: the UK and the eurozone". Retrieved 12 June 2016. ^ Nic Shuibhne, Niamh. "Explaining the EU deal: limiting residence rights for family members". Retrieved 12 June 2016. ^ Barnard, Catherine. "Explaining the EU deal: deporting EU immigrants". Retrieved 12 June 2016. ^ Peers, Steve. "Explaining the EU deal: is it legally binding?". Retrieved 12 June 2016. ^ "How David Cameron blew it – The behind-the-scenes story of a failed campaign to keep Britain in the European Union". Politico EU. POLITICO SPRL. 24 June 2016. Retrieved 24 July 2016. ^ Parker, George. "Cameron pins Brexit on EU failure to grant UK brake on migration". Financial Times. London, UK. Retrieved 24 July 2016. ^ Stewart, Heather (28 June 2016). "Cameron tells EU leaders they must offer UK more control over immigration". The Guardian. London, UK. Retrieved 29 June 2016. ^ Woodcock, Andrew (28 June 2016). "Cameron warns EU immigration rules could threaten UK trade deal". The Independent. London, UK. Retrieved 24 July 2016. ^ "Queen's Speech 2015: EU referendum, tax freeze and right-to-buy". BBC News. Retrieved 4 June 2015. ^ Watt, Nicholas. "David Cameron may bring EU referendum forward to 2016". The Guardian. Retrieved 9 November 2015. ^ "European Union Referendum Bill 2015–16". Parliament of the United Kingdom. Archived from the original on 31 May 2015. Retrieved 24 September 2015. ^ "EU referendum: MPs support plan for say on Europe". BBC News. Retrieved 17 May 2016. ^ "Labour to back EU referendum bill, says Harman". BBC News. 24 May 2015. Retrieved 9 January 2016. ^ European Union Referendum Act 2015 in BAILII. ^ "European Union Referendum Act 2015". legislation.gov.uk. Retrieved 14 May 2016. ^ Rowena Mason; Nicholas Watt; Ian Traynor; Jennifer Rankin (20 February 2016). "EU referendum to take place on 23 June, David Cameron confirms". The Guardian. Retrieved 2 February 2016. ^ R (Miller) v Brexit Secretary %5B2016%5D EWHC 2768 (Admin) at para. 106. ^ "Referendum on membership of the European Union: Assessment of the Electoral Commission on the proposed referendum question" (PDF). United Kingdom Electoral Commission. Retrieved 5 September 2015. ^ Watt, Nicholas; Syal, Rajeev (1 September 2015). "EU referendum: Cameron accepts advice to change wording of question". The Guardian. Retrieved 13 September 2015. ^ "David Cameron just gave a massive hint about when the EU referendum will happen". The Independent. Retrieved 17 May 2016. ^ "EU referendum: Cameron sets June date for UK vote". BBC News. 20 February 2016. Retrieved 17 May 2016. ^ "Who can vote in the EU referendum?". fullfact.org. 7 June 2016. Retrieved 24 December 2017. ^ "EU citizens not eligible for referendum vote, says No 10". BBC News. 25 May 2015. Retrieved 24 December 2017. ^ "Background to the UK's EU referendum 2016". Retrieved 28 June 2016. ^ Sims, Alexandra; Stone, Jon (8 December 2015). "MPs block plan to let 16 and 17 year olds vote in the EU referendum". The Independent. Retrieved 30 January 2017. ^ "EU vote registration deadline extended". BBC News. 8 June 2016. Retrieved 21 June 2016. ^ "European Union referendum: UK goes to the polls". BBC News. Retrieved 23 June 2016. ^ a b "EU referendum: Thousands wrongly sent polling cards". Bbc.co.uk. 3 June 2016. ^ "EU Citizens Sent Referendum Polling Cards". Guido Fawkes. 31 May 2016. ^ "EU Citizens Sent Referendum Polling Cards". 31 May 2016. ^ correspondent, Rowena Mason Political (2 June 2016). "Referendum voting papers sent to some EU nationals by mistake". The Guardian. ^ a b "Lord of the Rings star launches Manx EU referendum petition". BBC News. 29 January 2016. Retrieved 15 February 2016. ^ a b c "UKIP Infighting Over Rival Leave EU Campaigns". Sky News. ^ "Home page". Vote Leave. ^ "Lead EU referendum campaigns named". BBC. 13 April 2016. Retrieved 13 April 2016. ^ Silvera, Ian (23 February 2016). "EU referendum: Pro-Brexit Bakers' Union will consider backing Grassroots Out". International Business Times. ^ Hughes, Laura; Swinford, Stephen; Dominiczak, Peter (5 January 2016). "EU Referendum: David Cameron forced to let ministers campaign for Brexit after fears of a Cabinet resignation". The Daily Telegraph. Retrieved 9 January 2016. ^ "EU referendum: PM 'makes no apology' for £9m EU leaflets". BBC News. Retrieved 17 May 2016. ^ a b "EU Referendum campaigns remain suspended after Jo Cox attack". BBC News. 17 June 2016. Retrieved 17 June 2016. ^ "Why the Government believes that voting to remain in the European Union is the best decision for the UK" (PDF). Government of the United Kingdom. Retrieved 4 June 2016. ^ Landale, James (7 April 2016). "EU referendum: Government to spend £9m on leaflets to every home". BBC News. Retrieved 11 April 2016. ^ "EU referendum: Voters to receive 'impartial guide' to EU referendum". ^ "The 2016 EU Referendum Voting Guide" (PDF). About My Vote. The Electoral Commission. Retrieved 4 June 2016. ^ "MPs will vote for UK to remain in the EU". 23 February 2016. Archived from the original on 23 September 2016. Retrieved 11 March 2016. ^ "Policy: Europe". greenparty.org.uk. Retrieved 27 May 2016. ^ Wintour, Patrick (2 June 2015). "Andy Burnham pushes Labour to set up separate pro-European Union campaign". The Guardian. Retrieved 12 June 2015. ^ Patrick Wintour. "Alan Johnson to head Labour Yes campaign for EU referendum". The Guardian. Retrieved 18 June 2015. ^ "Nick Clegg: Pro-Europeans are the real reformers now". libdems.org.uk. 9 May 2014. Retrieved 12 June 2015. ^ Staff. "Positions". partyof.wales. Plaid Cymru. Archived from the original on 17 June 2016. Retrieved 27 May 2016. ^ Greer, Ross (10 October 2015). "EU Referendum: Greens to Make Progressive Case for Membership". Scottish Green Party. Retrieved 8 December 2015. ^ Staff (2 June 2015). "Nicola Sturgeon warns of EU exit 'backlash'". BBC News. Retrieved 12 June 2015. ^ "Alex Salmond: I'll campaign with Tories to stay in EU". The Daily Telegraph. Retrieved 27 May 2016. ^ "Home page". ukip.org. Retrieved 27 May 2016. ^ Hope, Christopher (21 September 2015). "Conservative Party to stay neutral during EU referendum". The Daily Telegraph. Retrieved 21 February 2016. ^ "Dickson – An EU referendum will threaten jobs and investment in Northern Ireland". Alliance Party of Northern Ireland. 14 May 2015. Retrieved 8 December 2015. ^ "Alliance expresses concerns over referendum idea". allianceparty.org. 29 April 2015. Retrieved 8 December 2015. ^ Staff (February 2014). Green Party in Northern Ireland: Manifesto 2015 (PDF). greenpartyni.org. Green Party in Northern Ireland. Archived from the original (PDF) on 18 November 2015. Retrieved 22 December 2015. ^ "Sinn Fein to protect EU membership". The Belfast Telegraph. 20 April 2015. Retrieved 8 December 2015. ^ SDLP. "International Affairs". Social Democratic and Labour Party. Archived from the original on 21 July 2014. Retrieved 8 December 2015. ^ UUP. "Statement from the Ulster Unionist Party on EU Referendum". Ulster Unionist Party. Retrieved 5 March 2016. ^ Cromie, Claire (25 November 2015). "EU referendum: DUP gives backing to UKIP Brexit campaign, blasting David Cameron's 'pathetic demands'". The Belfast Telegraph. Archived from the original on 20 December 2015. Retrieved 17 May 2016. ^ "DUP to 'recommend vote to leave the EU'". The News Letter. Belfast. 20 February 2016. ^ PBP. "Lexit: why we need a left exit from the eu". Archived from the original on 21 May 2016. Retrieved 27 May 2016. ^ "EU Membership is a Matter for UK Citizens, Not US President". tuv.org.uk. Retrieved 27 May 2016. ^ "Feetham urges joint strategies with Govt on key issues". Gibraltar Chronicle. 19 January 2016. Retrieved 20 February 2016. ^ a b "Garcia flags constitutional reform and Brexit in New Year message". Gibraltar Chronicle. 5 January 2016. Retrieved 20 February 2016. ^ "Britain First Policies". Britainfirst.org. Retrieved 27 May 2016. ^ "Foreign Affairs | British National Party". bnp.org.uk. Retrieved 25 June 2016. ^ "Éirígí backs Brexit with Northern Ireland poster campaign". The Irish Times. ^ "Respect to campaign to leave the EU". respectparty.org. 22 February 2016. Archived from the original on 3 March 2016. ^ Trade Unionist & Socialist Coalition (22 February 2016). "TUSC letter in The Guardian – now sign the petition". tusc.org.uk. Archived from the original on 4 March 2016. ^ "EU referendum: 10 alternatives to the official Leave and Remain campaigns". BBC News. Retrieved 27 April 2016. ^ "Liberal Party Assembly Motion" (PDF). Archived from the original (PDF) on 3 January 2017. ^ Mike Nattrass MEP FRICS (19 April 2014). An independence from Europe YouTube (Video). Mike Nattrass via YouTube. ^ "Statement by Workers' Party President Michael Donnelly on eve of EU referendum". Workers Party of Ireland. Retrieved 22 October 2018. ^ Cullen, Hugh. "The Socialist Case Against Leaving the European Union". Scottish Socialist Party. ^ "WE propose a Women's Bill of Rights". womensequality.org.uk. 8 March 2016. Archived from the original on 20 March 2016. ^ Mayer, Catherine (8 March 2016). "Whether we leave or stay in the EU, a Women's Bill of Rights is long overdue". The Huffington Post. AOL. Retrieved 27 May 2016. ^ "How Cabinet works". The National Archives. Retrieved 22 March 2016. ^ a b "EU Referendum: Where Conservative MPs stand". BBC News. 21 March 2016. Retrieved 22 March 2016. ^ "Who is Stephen Crabb?". BBC News. Retrieved 22 March 2016. ^ "Shell CEO urges Britain to remain in European Union". The Daily Telegraph. 4 June 2015. ^ Juliette Garside. "BT boss says EU is a positive force for business". The Guardian. ^ Jamie Dunkley; Russell Lynch (20 May 2015). "Vodafone head joins Deutsche Bank in warning over EU exit". The Independent. ^ Hazel Sheffield (19 May 2015). "Deutsche Bank considers UK exit plan". The Independent. ^ "Bankers start to warn on UK's EU referendum". Financial Times. ^ "RBS warns of business damage from Brexit plans" (Press release). Scottish National Party. 26 February 2015. Archived from the original on 19 June 2016. Retrieved 7 January 2016. ^ Jill Treanor. "HSBC warns of economic risks of UK pulling out of Europe". The Guardian. ^ "HSBC, JPMorgan may move parts of businesses to Luxembourg – The Times". Reuters UK. ^ "Goldman Sachs president warns Britain's exit from the EU could harm London's status as 'a great financial capital of the world'". This is Money. ^ "Brexit 'would sap London's wealth and power". The Daily Telegraph. 12 June 2015. Retrieved 22 December 2015. ^ Castle, Stephen (1 May 2016). "Fear of Alienating Customers Keeps British Companies From Taking Sides on E.U." The New York Times (2 May 2016). Retrieved 16 May 2016. ^ "Branson 'fearful' over Brexit impact". BBC News. 20 June 2016. Retrieved 22 June 2016. ^ "Alan Sugar: Brexit Would Be A 'Disaster' For UK". Sky News. Retrieved 22 June 2016. ^ "Rolls-Royce says Brexit will heighten investment risk". BBC News. ^ a b Farell, Sean (2 June 2016). "UK small businesses are evenly split on Brexit, poll says". The Guardian. Retrieved 15 June 2016. ^ Kleinman, Mark (11 April 2016). "Brexit Threat To UK Jobs, ICC Survey Warns". Sky News. Retrieved 14 May 2016. ^ "86% of international businesses surveyed believe the UK should remain within the EU – says ICC United Kingdom" (PDF). iccwbo.uk. United Kingdom office of International Chamber of Commerce. 12 April 2016. Retrieved 14 May 2016. ^ Cordell, Jake (11 May 2016). "EU businesses want a hard line in any post-Brexit negotiations". City AM. Retrieved 14 May 2016. ^ Blackden, Richard (20 January 2013). "Ford and BMW warn against UK exit from EU as David Cameron readies historic speech". The Daily Telegraph. Retrieved 3 January 2014. ^ "Britain's pro-EU carmakers say plants not at risk from 'Brexit'". Reuters UK. ^ Szu Ping Chan (15 September 2015). "Ignore the scaremongers, manufacturing powerhouse Vauxhall says it would be fine outside the EU". The Daily Telegraph. Retrieved 6 January 2016. ^ "Toyota pledges to stay in UK even if country takes Brexit". Financial Times. ^ P. Spence, Pound falls below $1.39 as economists warn Brexit could hammer households, The Daily Telegraph, Finance, 24 February 2016. ^ Nelson, Eshe (23 February 2016). "If Sterling Goes Down on 'Brexit,' It's Taking the Euro With It". Bloomberg. Retrieved 26 February 2016. ^ "EU referendum: Sterling falls after Independent poll puts Brexit 10 points ahead". ^ "UK trade deficit narrows in April as exports jump". BBC News. Retrieved 11 June 2016. ^ "UK trade deficit falls after record rise in exports". 9 June 2016. Retrieved 15 June 2016. ^ a b Lowery, Adrian (1 March 2016). "FTSE 100 index on roughest ride since 2000". ^ "FTSE 100 falls 2% as investors fret over Brexit". BBC News. ^ "FTSE 100 loses £100bn in four days as Brexit paralyses markets and pound crumbles". The Daily Telegraph. ^ "The pound has made strong gains against the dollar". BBC News. ^ "Sterling hits 2016 high, stocks climb as UK votes on Brexit". Retrieved 23 June 2016. ^ "GBP to USD exchange rate". Retrieved 24 June 2016. ^ "FTSE 100 at the London Stock Exchange". Retrieved 24 June 2016. ^ Kirka, Danica; Lee, Youkyung (24 June 2016). "Stocks crash as UK vote to quit EU shocks investors". AP The Big Story. London. Associated Press. Retrieved 24 June 2016. ^ David, Javier E. (26 June 2016). "Brexit cost investors $2 trillion, the worst one day drop ever". CNBC. Retrieved 26 June 2016. ^ David, Javier E. (27 June 2016). "Brexit-related losses widen to $3 trillion in relentless 2-day sell-off". CNBC. Retrieved 28 June 2016. ^ McGeever, Jamie; Graham, Patrick (24 June 2016). "UK markets shudder after Brexit vote, sterling hits 31-year low". Reuters. Retrieved 26 June 2016. ^ Rosenfeld, Everett (27 June 2016). "Brexit fears drive downgrade: S&P cuts UK rating to 'AA' from 'AAA'". CNBC. Retrieved 27 June 2016. ^ "S&P revises European Union credit rating to AA from AA+". CNBC. ^ "Markets shift after Carney speech". BBC News. Retrieved 1 July 2016. ^ "Global stock markets rally as Brexit fears abate". BBC News. 29 June 2016. Retrieved 30 June 2016. ^ Verhofstadt, Guy (5 January 2016). "Putin will be rubbing his hands at the prospect of Brexit". The Guardian. Retrieved 29 November 2015. ^ Ball, Sam (30 April 2016). "Why the French are against Brexit, but only just". France 24. ^ Holehouse, Matthew (18 January 2016). "Brexit will trigger collapse of EU, warns Poland". The Daily Telegraph. Retrieved 29 November 2015. ^ www.publika.md (20 June 2016). "Pavel Filip încurajează moldovenii să discute cu prietenii lor britanici pentru un vot pro-rămânere în UE". publika.md. ^ "Spanish PM's anger at David Cameron over Gibraltar". BBC News. 16 June 2016. ^ "Brexit border closure 'perfectly possible' in law – Margallo". Gibraltar Chronicle. 18 June 2016. ^ "Exclusive: Britain 'could liberate Europe again' by voting for Brexit and sparking populist revolution". The Daily Telegraph (London). 22 May 2016. ^ Inman, Phillip (24 February 2016). "Brexit referendum could destabilise UK recovery, says IMF". The Guardian. Retrieved 26 February 2016. ^ Swinford, Ping-Chan, Steven, Szu. "EU referendum: IMF accused of 'bullying' voters with warnings over Brexit". The Daily Telegraph. Retrieved 16 May 2016. ^ "US warns Britain: If you leave EU you face barriers to trading with America". The Guardian. 28 October 2015. Retrieved 6 January 2016. ^ "US ambassador: We would love strong UK in strong EU". BBC News. 29 October 2015. Retrieved 6 January 2016. ^ Staying in EU 'best hope' for UK's future say ex-US Treasury secretaries, BBC News (20 April 2016). ^ Andrew Sparrow (24 July 2015). "Britain must stay in EU 'to make world more prosperous', says Obama". The Guardian. Retrieved 9 January 2016. ^ "Britain will be at the front of the queue for a US trade deal". Retrieved 27 April 2016. ^ Michael Wilkinson (27 April 2016). "Ted Cruz: Post-Brexit Britain would be at front of the line for trade deal if I am US President". The Telegraph. Retrieved 27 April 2016. ^ Greg Heffer (2 July 2018). "Cameron 'personally requested Obama's back of the queue Brexit warning'". Sky News. Retrieved 17 July 2018. ^ Olli Smith (24 March 2016). "'Time to GO': Trump gives Brexit blessing as he blames 'crazy migration' for EU collapse". Daily Express. Retrieved 18 March 2016. ^ Chuck Todd, Mark Murray and Carrie Dann (23 June 2016). "First Read: How 'Brexit' Impacts American Politics". NBC News. ^ a b Paul Hackett (21 October 2015). "Xi Jinping urges Britain to stay in EU as ballast to US market dominance". Russia: RT. Retrieved 18 May 2016. ^ Ross, Tim (27 February 2016). "Global economy will suffer 'a shock' if Britain leaves EU, G20 warns". The Daily Telegraph. Retrieved 27 February 2016. ^ "UK EU exit would be global economy 'shock' – G20 leaders". BBC News. Retrieved 27 February 2016. ^ "Turnbull hopeful UK avoids EU Brexit". 1 May 2016. Retrieved 29 June 2016. ^ "Ranil 'very concerned' at probable Brexit". Daily Mirror. 15 June 2016. Retrieved 20 June 2016. ^ Worley, Will (18 June 2016). "EU referendum: Vladimir Putin says David Cameron called vote 'to blackmail Europe'". The Independent. ^ Titov, Alexander; Sakwa, Richard (16 June 2016). "Does Putin Really Want a Brexit From The EU?". Newsweek. ^ P. Spence, Bank of England can make Brexit work, says Mark Carney, The Daily Telegraph, 11 November 2015. ^ Robertson, Jamie. "Brexit vote may spark recession, Mark Carney warns". BBC News. Retrieved 13 May 2016. ^ "Iain Duncan Smith casts doubt on Mark Carney's Brexit warning". BBC News. Retrieved 13 May 2016. ^ "How small is small? The impact of immigration on UK wages – National Institute of Economic and Social Research". www.niesr.ac.uk. ^ a b Fuest, Clemens (19 April 2016). "How Germany Views Brexit". Project Syndicate. Retrieved 29 November 2015. ^ Dakers, Marion (28 September 2015). "Law firms will bear the brunt of Brexit, lawyers warn". The Daily Telegraph. Retrieved 14 June 2016. ^ "The EU and the Legal Sector" (PDF). The Law Society of England and Wales. October 2015. Retrieved 24 June 2016. ^ Firzli, Nicolas. "A Frenchman writes: Britain should say adiEU in June". Dow Jones Financial News. Retrieved 7 March 2016. ^ "EU exit could add two years to austerity, IFS says". BBC News. 25 May 2016. ^ Higgins, Kathryn (1 June 2016). "Majority of UK lawyers want to remain in the EU, poll finds". Global Legal Post. Retrieved 14 June 2016. ^ "Video: The UK's future economic relationship with the European Union". 5 July 2016. ^ Dougan, Michael (30 June 2016). Professor Michael Dougan assesses UK's position following vote to leave the EU (Youtube). Liverpool: University of Liverpool, School of Law and Social Justice. Event occurs at 01:18. Retrieved 31 May 2018. I really do have no hesitation whatsoever in concluding that Leave conducted one of the most dishonest political campaigns this country has ever seen. ^ "EU referendum: Brexit 'could damage NHS', health boss warns". BBC News. 22 May 2016. ^ Rumney, Emma (26 May 2016). "NHS leaders fear negative impact of Brexit, survey says". Public Finance. ^ Gibbons, Katie; Savage, Michael (4 April 2016). "Brexit would put the NHS at risk, health leaders warn". The Times. ^ a b Watling, Lindsay (10 June 2016). "Study finds 92% of fisherman will vote for Brexit". The Press and Journal. Retrieved 11 June 2016. ^ Vevers, Dan. "Nine in ten fishermen will back Brexit, survey suggests". STV. Retrieved 11 June 2016. ^ Stewart, Heather (25 May 2016). "Vote to leave EU would 'condemn Britain to irrelevance', say historians". The Guardian. Retrieved 20 June 2016. ^ "'Brexit': IEA offers prize for UK exit plan from EU". BBC. 15 July 2013. Retrieved 8 August 2013. ^ "IEA Brexit Prize". Iea.org.uk. 8 April 2014. Retrieved 20 May 2014. ^ Stacey, Kiran (8 April 2014). "UK diplomat wins prize for Brexit plan". Financial Times. Retrieved 21 April 2014. (Subscription required (help)). ^ Littlewood, Mark. "The winner of the Brexit Prize provides a blueprint for an open, independent Britain". Conservative Home. Retrieved 21 April 2014. ^ Boffey, Daniel; Helm, Toby (17 November 2012). "56% of Britons Would Vote to Quit EU in Referendum, Poll Finds". The Observer. Retrieved 4 January 2014. ^ "YouGov Survey Results" (PDF). D25d2506sfb94s.cloudfront.net. 11 June 2015. Retrieved 17 July 2015. ^ "Lord Ashcroft Europe Poll – Europe on Trial". Yahoo! Finance. 23 March 2014. Archived from the original on 7 April 2014. Retrieved 20 May 2014. ^ "YouGov/The Sun Survey Results" (PDF). YouGov. June 2014. Retrieved 12 June 2015. ^ John Curtice, senior research fellow at NatCen and professor of politics at Strathclyde University (October 2015). "Britain divided? Who supports and who opposes EU membership" (PDF). Economic and Social Research Council. ^ Grice, Andrew (23 November 2015). "EU referendum: Majority of UK public wants 'Brexit', poll reveals". The Independent. London. Retrieved 24 November 2015. ^ a b Dahlgreen, Will (28 February 2016). 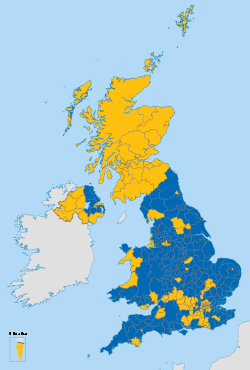 "The Eurosceptic map of Britain". YouGov. Retrieved 28 February 2016. ^ Pickard, Jim (3 February 2016). "Conservatives: the party of business?". Financial Times. Retrieved 8 February 2016. ^ Booth, James (2 March 2016). "Partners overwhelmingly anti-Brexit as confidence in Britain staying in falters". Legal Week. Retrieved 14 May 2016. ^ Sonia Sodha, Toby Helm & Phillip Inman (28 May 2016). "Economists overwhelmingly reject Brexit in boost for Cameron". Observer. Retrieved 29 May 2016. ^ Giles, Chris; Cadman, Emily (3 January 2016). "Economists' forecasts: Brexit would damage growth". Financial Times. Retrieved 14 May 2016. ^ Dickinson, Annabelle (30 December 2016). "The year the bookies were confounded – 150/1 on Trump becoming US President and 100/1 on Alan Partridge becoming the Mayor of East Anglia". Eastern Daily Press. ^ Cowling, David (24 December 2016). "Why were the polls wrong again in 2016?". BBC News. Retrieved 12 September 2018. ^ a b c d "UK and the EU: Better off out or in?". BBC News. 23 February 2016. Retrieved 3 March 2016. ^ Sodha, Sonia (27 July 2015). "Why is EU free movement so important?". Analysis, BBC Radio 4. BBC News. Retrieved 4 March 2016. ^ Becker and Fetzer (October 2016). 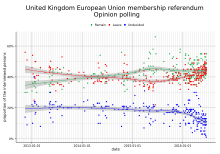 "Does Migration Cause Extreme Voting?". University of Warwick. Retrieved 31 October 2016. ^ Mason, Rowena (24 June 2016). "How did UK end up voting to leave the European Union?". The Guardian. London, UK. Retrieved 26 June 2016. ^ Ward, Olivia (25 June 2016). "Toxic Brexit debate has led the U.K. into political turmoil: Analysis". Toronto Star. Toronto, Canada. Retrieved 26 June 2016. ^ "Newsnight exchange with Brexit MEP Daniel Hannan". BBC News. 25 June 2016. Retrieved 26 June 2016. ^ Lowyry, Nigel (25 June 2016). "Nigel Farage: Leave campaign pledges 'mistake', may not be upheld". iNews UK. Media Nusantara Citra. Retrieved 26 June 2016. ^ Helm, Toby (24 July 2016). "Brexit: EU considers migration 'emergency brake' for UK for up to seven years". The Guardian. London, UK. Retrieved 24 July 2016. ^ "How David Cameron blew it – The behind-the-scenes story of a failed campaign to keep Britain in the European Union". Politico EU. POLITICO SPRL. 24 June 2016. Retrieved 24 July 2016. As Brussels held its ground, Cameron dropped his manifesto commitment for new EU workers to wait four years before accessing benefits, as long as something was done to cut immigration. In February Britain and the EU struck a deal. Britain would get an "emergency brake," allowing the UK to withhold access to benefits for new migrants for a one-off period of seven years. ^ "Brexit could lead to second independence poll and break-up of Britain, says leading Scottish investment fund manager". The Herald. 24 February 2016. Retrieved 5 March 2016. ^ "Sturgeon: EU exit could trigger demand for Scottish independence referendum". BBC News. 21 February 2016. Retrieved 5 March 2016. ^ "EU referendum: Brexit would spark 'constitutional crisis' for UK, warns Welsh First Minister Carwyn Jones". The Independent. 18 March 2016. Retrieved 21 March 2016. ^ "EU referendum: Leaving EU 'big gamble' for UK security". BBC News. 22 February 2016. Retrieved 11 April 2016. ^ "Reality Check: Is Britain safer in or out of the EU?". BBC News. 24 March 2016. Retrieved 11 April 2016. ^ EU referendum debate – Guardian Live. YouTube. 15 March 2016. ^ Martin Shipton (15 December 2015). "Nigel Farage and Carwyn Jones to go head-to-head to debate whether UK should stay in the EU". walesonline. ^ "Farage and Jones clash over steel in EU debate". BBC News. ^ "It's official: David Cameron will not debate another political leader on television before EU referendum". 24 May 2016. Retrieved 24 May 2016. ^ "Debate: Should Britain leave the EU?". The Spectator. ^ "The Express EU Debate in full". Daily Express. 5 June 2016. ^ "Brentwood Weekly News". Brentwood Weekly News. 8 June 2016. ^ "The Andrew Neil Interviews: Leave or Remain? – Episode guide". BBC. ^ "The EU Debate, Victoria Derbyshire". BBC. ^ "Vote Leave lambasts ITV over EU debate between Cameron and Farage". 12 May 2016. Retrieved 24 May 2016. ^ Aiden Kerr (6 June 2016). "Nicola Sturgeon and Boris Johnson to clash in TV debate". STV. Retrieved 9 June 2016. ^ John Plunkett (11 May 2016). "BBC rejects fears EU referendum debate could be hijacked". Retrieved 24 May 2016. ^ "EU referendum: Campaigns set for live BBC debate at Wembley". BBC News. Retrieved 21 June 2016. ^ "Jeremy Paxman to host final EU Referendum debate on Channel 4". Channel 4. 9 May 2016. Retrieved 24 May 2016. ^ a b c European Referendum Act 2015 Section 11. ^ Booth, Robert; Dodd, Vikram; Rawlinson, Kevin; Slawson, Nicola (18 June 2016). "Jo Cox murder suspect tells court his name is 'death to traitors, freedom for Britain'". ^ "Cameron cuts short Gibraltar visit over MP attack". Yahoo!. 16 June 2016. Retrieved 17 June 2016. ^ Stewart, Heather (18 June 2016). "Paused EU referendum debate to resume, but with a more respectful tone". The Guardian. Retrieved 18 June 2016. ^ "David Cameron: 'No turning back' on EU vote". BBC News. 19 June 2016. Retrieved 19 June 2016. ^ "Counting stops for minute silence for Jo Cox". The Telegraph. 24 June 2016. Retrieved 24 June 2016. ^ Stone, Jon (17 June 2016). "Jo Cox death: Parties stand down in killed Labour MP's seat as Corbyn and Cameron call for unity". The Independent. Independent Print Limited. Retrieved 17 June 2016. ^ Davies, Caroline (23 June 2016). "Long queues reported outside referendum polling stations". The Guardian. ^ Etehad, Melissa (23 June 2016). "Pencil or pen? An unusual conspiracy theory grips Brexit vote. – The Washington Post". The Washington Post. Retrieved 11 March 2018. ^ "EU referendum: Brexit win amid Manchester's strong Remain vote – BBC News". ^ Sparrow, Andrew; Weaver, Matthew; Oltermann, Philip; Vaughan, Adam; Asthana, Anushka; Tran, Mark; Elgot, Jessica; Watt, Holly; Rankin, Jennifer; McDonald, Henry; Kennedy, Maev; Perraudin, Frances; Neslen, Arthur; O'Carroll, Lisa; Khomami, Nadia; Morris, Steven; Duncan, Pamela; Allen, Katie; Carrell, Severin; Mason, Rowena; Bengtsson, Helena; Barr, Caelainn; Goodley, Simon; Brooks, Libby; Wearden, Graeme; Quinn, Ben; Ramesh, Randeep; Fletcher, Nick; Treanor, Jill; McCurry, Justin; Adams, Richard; Halliday, Josh; Pegg, David; Phipps, Claire; Mattinson, Deborah; Walker, Peter (24 June 2016). "Brexit: Nicola Sturgeon says second Scottish referendum 'highly likely'". ^ Goodman, Peter S. (23 June 2016). "Turbulence and Uncertainty for the Market After 'Brexit'". The New York Times. ISSN 0362-4331. Retrieved 24 June 2016. ^ Hughes, Laura. "EU referendum results live: Brexit wins as Britain votes to leave European Union". The Daily Telegraph. Retrieved 24 June 2016. ^ a b "Local voting figures shed new light on EU referendum". BBC. 7 February 2017. ^ "EU referendum: full results and analysis". theguardian. 26 June 2016. ^ "Who Voted for the Brexit?". theatlantic. 25 June 2016. ^ a b Sascha O Becker, Thiemo Fetzer, Dennis Novy. "Who voted for Brexit? A comprehensive district-level analysis". Economic Policy, Volume 32, Issue 92, 1 October 2017, pp.601–650. Quotes: "We find that fundamental characteristics of the voting population were key drivers of the Vote Leave share, in particular their education profiles, their historical dependence on manufacturing employment as well as low income and high unemployment. At the much finer level of wards within cities, we find that areas with deprivation in terms of education, income and employment were more likely to vote Leave. [...] A larger flow of migrants from Eastern Europe reaching a local authority area with a larger share of unqualified people or a larger share of manufacturing workers is also associated with a larger Vote Leave share". ^ a b "How the United Kingdom voted on Thursday… and why". Lord Ashcroft Polls. 24 June 2016. ^ Worley, Will; Forster, Katie (24 June 2016). "Young people are gathering at Parliament furious at not being given the vote". The Independent. Retrieved 25 June 2016. ^ "Brexit: How much of a generation gap is there?". BBC News. Retrieved 26 June 2016. ^ Harding, Luke (24 June 2016). "Brexit vote sparks scramble for European passports". The Guardian. Retrieved 25 June 2016. ^ "Brexit vote sparks surge in Irish passport applications". ABC News. 27 June 2016. Retrieved 27 June 2016. ^ a b Halpin, Padraic (27 June 2016). "Britons flood Ireland with EU passport queries after Brexit vote". Reuters. Retrieved 27 June 2016. ^ Agerholm, Harriet (26 June 2016). "Brexit: Wave of racial abuse and hate crime reported after EU referendum". The Independent. Retrieved 26 June 2016. ^ "Hate crime is unacceptable in any circumstances say police". news.npcc.police.uk. ^ Reporter, Staff (5 July 2016). "Essex Police reveal hate crime spike since EU referendum". ^ a b Micklewaithte, Jamie (26 June 2016). "Police probe 'racist signs distributed after Brexit vote in EU referendum'". London Evening Standard. Retrieved 26 June 2016. ^ "Anti-Polish cards in Huntingdon after EU referendum". BBC News. Retrieved 26 June 2016. ^ Cooper, Goolistan (7 July 2016). "Polish centre graffiti 'not a xenophobic attack' after all?". getwestlondon. ^ a b Micklewaithte, Jamie (26 June 2016). "Police probe racist graffiti smeared on Polish centre after Brexit vote". London Evening Standard. Retrieved 26 June 2016. ^ Staufenberg, Jess (25 June 2016). "Brexit: Welsh Muslim told to 'pack bags and go home' after campaigning for Remain". The Independent. Retrieved 26 June 2016. ^ Lyons, Kate (26 June 2016). "Racist incidents feared to be linked to Brexit result". The Guardian. Retrieved 26 June 2016. ^ Sherwood, Harriet (27 June 2016). "Cameron condemns xenophobic and racist abuse after Brexit vote". The Guardian. London, UK. Retrieved 28 June 2016. ^ Townsend, Mark (8 October 2016). "Homophobic attacks in UK rose 147% in three months after Brexit vote". The Guardian. Retrieved 10 October 2016. ^ "Why are some trying to turn life into one big hate-crime?". Coffee House. 10 October 2016. ^ "Polish man killed with 'superman punch'". BBC News. 25 July 2017. Retrieved 27 September 2017. ^ a b Gayle, Damien (8 September 2017). "Teenager who killed Polish man with a punch sentenced to three years". The Guardian. Retrieved 27 September 2017. ^ a b "Polish ex-MP: Juncker right to raise Essex 'hate crime' murder". Sky News. Retrieved 27 September 2017. ^ "Nigel Farage 'blood on his hands' controversy: Media monitor blasts 'sensationalist' BBC". Retrieved 27 September 2017. ^ Farage, Nigel (19 September 2017). "The BBC's slur has caused my family misery". The Daily Telegraph. ISSN 0307-1235. Retrieved 27 September 2017. ^ "Second EU referendum petition investigated for fraud". BBC News. 26 June 2016. Retrieved 26 June 2016. ^ York, Chris (26 June 2016). "Second EU Referendum Petition Started By Leave Voter William Oliver Healey". The Huffington Post. Verizon. Retrieved 26 June 2016. ^ Coleman, Clive (30 June 2016). "Can the law stop Brexit?". BBC News. Retrieved 2 July 2016. ^ Marker, Christina (26 June 2016). "Brexit Redux? Petition for Second EU Vote Hits 3 Million Signatures". NBC News. Retrieved 26 June 2016. In an ironic twist, it emerged Sunday that the petition's creator was in fact in favor of so-called Brexit. In a message posted to Facebook, William Oliver Healey sought to distance himself from the petition, saying it had been hijacked by those in favor of remaining in the EU. ^ Hume, Tim. "Brexit: Petition calling for second EU vote was created by Leave backer". CNN. Retrieved 26 June 2016. ^ Hooton, Christopher (24 June 2016). "Brexit: Petition for second EU referendum so popular the government site's crashing". The Independent. Independent Print Limited. Retrieved 24 June 2016. ^ Boult, Adam (26 June 2016). "Petition for second EU referendum attracts thousands of signatures". The Daily Telegraph. Retrieved 26 June 2016. ^ Cooper, Charlie (27 June 2016). "David Cameron rules out second EU referendum after Brexit". The Independent. Retrieved 28 June 2016. ^ "Theresa May's Tory Leadership Launch Statement". The Independent. London, UK. 30 June 2016. Retrieved 30 June 2016. ^ "Brexit: Petition for second EU referendum rejected". BBC News. 9 July 2016. Retrieved 9 July 2016. ^ "New Tory leader 'should be in place by 9 September'". BBC News. 28 June 2016. Retrieved 29 June 2016. ^ "Labour 'Out' Votes Heap Pressure on Corbyn". ^ Asthana A; Syal, R. (26 June 2016). "Labour in crisis: Tom Watson criticises Hilary Benn sacking". The Guardian. Retrieved 26 June 2016. ^ "Jeremy Corbyn's new-look shadow cabinet". The Daily Telegraph. London, UK. 27 June 2016. Retrieved 28 June 2016. ^ "Jeremy Corbyn Loses Vote of No Confidence". Sky News. 28 June 2016. Archived from the original on 1 July 2016. Retrieved 28 June 2016. ^ Holden, Michael; Piper, Elizabeth (28 June 2016). "EU leaders tell Britain to exit swiftly, market rout halts". Reuters. Retrieved 28 June 2016. the confidence vote does not automatically trigger a leadership election and Corbyn, who says he enjoys strong grassroots support, refused to quit. 'I was democratically elected leader of our party for a new kind of politics by 60 percent of Labour members and supporters, and I will not betray them by resigning,' he said. ^ "UKIP leader Nigel Farage stands down". BBC News. 4 July 2016. Retrieved 4 July 2016. ^ "Nigel Farage steps back in at UKIP as Diane James quits". BBC news. 5 October 2016. Retrieved 18 October 2016. ^ "EU referendum: Sturgeon says Scotland sees its future in European Union". BBC Scotland. 24 June 2016. Retrieved 26 March 2018. ^ Jamieson, Alastair (24 June 2016). "'Brexit' Triggers New Bid for Scottish Independence". NBC News. ^ Carrell, Severin (24 June 2016). "Nicola Sturgeon prepares for second Scottish independence poll". ^ "Nicola Sturgeon says second Scottish referendum 'highly likely' – as it happened". The Guardian. 24 June 2016. ^ Wintour, Patrick (19 July 2016). "Liberals, celebrities and EU supporters set up progressive movement". Retrieved 24 July 2016. ^ Shead, Sam (24 July 2016). "Paddy Ashdown has launched a tech-driven political startup called More United that will crowdfund MPs across all parties". Business Insider UK. Retrieved 24 July 2016. ^ "Brexit after EU referendum: UK to leave EU and David Cameron quits". ^ McGeever, Jamie (7 July 2016). "Sterling's post-Brexit fall is biggest loss in a hard currency". Retrieved 9 October 2017. ^ "Shares and pound plunge on Leave vote". ^ Sudip Kar-Gupta (4 July 2016). "FTSE 100 rises to build on post-Brexit recovery". Reuters. Retrieved 4 July 2016. ^ "Rand slumps more than 8% against dollar". Reuters. 24 June 2016. Retrieved 26 June 2016. ^ a b c Kuo, Lily; Kazeem, Yomi (24 June 2016). "Brexit will be terrible for Africa's largest economies". Quartz. Retrieved 26 June 2016. ^ Evans, Pete (24 June 2016). "Loonie loses more than a penny, TSX sheds 239 points after Britons vote to quit EU". Canadian Broadcasting Corporation. Retrieved 26 June 2016. ^ "King Says Carney Calm Will Guide U.K. Through Brexit Uncertainty". Bloomberg. 28 June 2016. Retrieved 26 December 2016. ^ a b Inman, Phillip (5 January 2017). "Chief Economist of Bank of England Admits Errors in Brexit Forecasting". The Guardian. Retrieved 18 January 2017. ^ Swinford, Steven (6 January 2017). "Bank of England Admits 'Michael Fish' Moment with Dire Brexit Predictions". The Daily Telegraph. Retrieved 18 January 2017. ^ Rajeev Syal (1 September 2016). "Electoral reform campaigners slam 'dire' EU referendum debate". Guardian newspapers. Retrieved 1 September 2016. ^ 'DATA PROTECTION ACT 1998 SUPERVISORY POWERS OF THE INFORMATION COMMISSIONER MONETARY PENALTY NOTICE (9 May 2016). ^ 'EU campaign firm fined for sending spam texts' (11 May 2016). ^ Election watchdog probes spending by EU referendum campaign groups, The Daily Telegraph (24 February 2017). ^ Electoral Commission statement on investigation into Leave.EU, Electoral Commission (21 April 2017). ^ a b Carole Cadwalladr, 'The great British Brexit robbery: how our democracy was hijacked', The Observer (Sunday 7 May 2017). ^ Jamie Doward, Carole Cadwalladr and Alice Gibbs, 'Watchdog to launch inquiry into misuse of data in politics', The Observer (4 March 2017). ^ O'Toole, Fintan (16 May 2017) "What connects Brexit, the DUP, dark money and a Saudi prince?". The Irish Times. ^ a b c Henry Mance, Brexit-backer Arron Banks to be investigated over campaign spending, Financial Times (1 November 2017). ^ Holly Watt, Electoral Commission to investigate Arron Banks' Brexit donations: Watchdog to consider whether leave campaigner broke campaign finance rules in run-up to EU referendum, The Guardian (1 November 2017). ^ Henry Mance, Arron Banks investigated for Brexit campaign spending, Financial Times (1 November 2017). ^ a b c Maidment, Jack (19 December 2017) "Liberal Democrats fined £18,000 for breaching campaign finance rules relating to EU referendum". The Daily Telegraph. ^ "What role did Cambridge Analytica play in the Brexit vote?". Deutsche Welle. 27 March 2018. ^ Weaver, Matthew (11 May 2018). "Leave.EU fined £70k over breaches of electoral law". The Guardian. Retrieved 11 May 2018. ^ Smout, Alistair (14 September 2018). "UK court rules against electoral watchdog in Brexit spending row". Reuters. Retrieved 1 October 2018. ^ Coates, Sam (15 September 2018). "Electoral Commission suffers High Court defeat over Brexit expenses advice". The Times. Retrieved 1 October 2018. ^ Pegg, David (18 February 2019). "Facebook labelled 'digital gangsters' by report on fake news". Theguardian.com. Retrieved 18 February 2019. ^ "Theresa May must investigate 'foreign influence and voter manipulation' in Brexit vote, say MPs". The Independent. 18 February 2019. Retrieved 18 February 2019. ^ a b c Steve Rosenberg, EU referendum: What does Russia gain from Brexit? ', BBC News (26 June 2016). ^ Joe Watts, Highly probable' that Russia interfered in Brexit referendum, Labour MP says, Independent (13 December 2016). ^ Jake Kanter & Adam Bienkov, Labour MPs think the government is hiding info about Russia interfering with Brexit, 'Business Insider (23 February 2016). ^ a b Rajeev Syal, Brexit: foreign states may have interfered in vote, report says, Guardian (12 April 2017). ^ Joseph Cox (24 October 2017). "Britain Requests Facebook's Russian Ad Data From Run-Up to Brexit, Election". The Daily Beast. ^ a b David D. Kirkpatrick, Parliament Asks Twitter About Russian Meddling in Brexit Vote, New York Times (3 November 2017). ^ a b 13,500-strong Twitter bot army disappeared shortly after EU referendum, research reveals, City, University of London (20 October 2017). ^ a b Oliver Wright, Lucy Fisher & Sean O'Neill, Watchdog starts inquiry into Russia Brexit links, The Times (2 November 2017). ^ "Facebook admits it was targeted by Russian trolls in Brexit referendum". Mail Online. Retrieved 20 November 2017. ^ "Facebook says Russian-linked accounts spent just 97 cents on ads over Brexit". Reuters. 13 December 2017. Retrieved 22 December 2017. ^ Cadwalladr, Carole; Jukes, Peter (10 June 2018). "Arron Banks 'met Russian officials multiple times before Brexit vote'". The Guardian. Retrieved 12 June 2018. George, Stephen (January 2000). "Britain: anatomy of a Eurosceptic state". Journal of European Integration. 22 (1): 15–33. doi:10.1080/07036330008429077. Usherwood, Simon (March 2007). "Proximate factors in the mobilization of anti‐EU groups in France and the UK: the European Union as first‐order politics". Journal of European Integration. 29 (1): 3–21. doi:10.1080/07036330601144177. Emerson, Michael (April 2016). "The Economics of a Brexit". Intereconomics. 51 (2): 46–47. doi:10.1007/s10272-016-0574-2. LSE Library (March 2017), "Collection of campaigning leaflets from the referendum"